Whether or not you have used them to buy or sell, you are probably at least somewhat familiar with online auction site e-Bay and the online classified board Craigslist. But did you know there are many other ways to buy and sell online? When you think of online auctions, e-Bay automatically comes to mind as the undisputed king. But run a search for “online auction sites” and you’ll find hundreds of other sites. In general, auction ranking reviews rate e-Bay as the best choice in most categories. However, if you are auctioning something specific to a target audience, you might want to investigate auction sites tailored to that product. For example, if you have concert or athletic event tickets for sale, you would want to specifically focus on ticket-seekers using a site such as StubHub. If you are looking to buy via an online auction you might be tempted by a penny auction site, like BidCactus.com. Penny auctions are sites often used for selling consumer electronics such as computers, cameras and HDTVs. Items are listed with a minimum selling price and price per bid is set. For example, you sign up for a penny auction and pay 50 cents per bid on a laptop. The price of the laptop starts at one cent. Each time you bid, you pay 50 cents and the laptop price increases by one cent. The auction will ends once the bidding fees plus item price reach the seller’s set price. If 2,000 people each placed a bid at 50 cents each, the seller would net $1,000 but the winner walks away with a laptop for $20, plus whatever she spent in bidding. Unless you’re the only person bidding, auctions have an element of excitement as you go for the win, but with penny auctions, the thrill is more akin to that of gambling. At Bassabids.com you get the penny auction excitement, but bidding is free. Penny auctions can be very risky, and while it seems like a good deal, what you spend on bids can add up fast and if you don’t win the item, you’ve just walked away empty-handed, much like gambling. Make sure you do plenty of research on penny auctions sites, how they work and which ones are legitimate before jumping in. If you just want to buy or sell items without the stress of online auctions (I know I do!) then you can check out sites like Esty, Craigslist or Facebook groups. If you are crafty or are looking for a unique homemade item, then point your browser to esty.com . Esty allows you to list handmade and vintage items or craft supplies. You will pay Esty a 20 cent listing fee and then a 3.5 percent transaction fee (there is also an optional advertising fee that varies by product). If you can crank out handmade jewelry, baby blankets or have a closet full of unused craft project supplies (like me!) then check out Esty to see if it’s a good money-making match. It’s also a great place to shop for unique gifts and maybe you can pick up a good deal or two from fellow crafters. Online classified ads are another way to unload unwanted items or pick up a great deal. Craigslist is the best known online classified ad service. You can use Craigslist locally to browse items you wish to buy or list items you are selling, and then arrange a pick-up/payment location in your community. I even know people who have scored really great items for free on Craigslist – all they had to do was pick the item up. Craigslist results are typically better when listing household items (furniture, dishes, and electronics) as opposed to collectables. As I said, check it out carefully to be sure it’s the right choice for your item. Craigslist has its limitations though. If you don’t live in or near a metropolitan area with a Craigslist, it won’t be of much help to you. Also, there’s no easy way to search more than one local at a time, if like our editor, you live equidistance from three Craigslist cities. If Craigslist isn’t the best choice, often local communities or groups will host a classified board. My church even has a Web site where people can list items they are selling, giving away or ask if anyone has an item that they may need. Recently Facebook groups have popped up that allow people within the community to buy, sell or exchange products. Typically, you will request to be added to this group and then group members will post their items to the group’s Facebook wall. You can respond in the comments if you are interested in the item and strike up a deal with the seller. Sometimes these even follow a silent auction type format where you place your bid in the comments. Always remember to use extra caution when using Craigslist or another classified service that requires personal contact. Arrange pick up/delivery in a busy public place, take along a friend (preferably a big burly ultimate fighting champion) to ensure your protection and if something doesn’t feel quite right, trust your gut and back out of the situation. It’s always better to use a reputable service, such as e-Bay, that will offer a layer of protection even if you have to pay a little extra for the listing. Selling and buying online can be a great experience and help you earn or save extra cash. However be sure to do your homework on the sites you are planning to use beforehand and know the potential pitfalls and how to avoid them. Sam’s Club – You do have to be a member to buy, but in case you are, you can get some decent deals. It’s no garage sale though. Goodwill – Selling the best of the donations online. Bidding for Good – online auction for hundreds of charities. The old silent auction to the extreme. Lots of swank here, as well as some decent deals if you really look. Propertyroom.com – Even the cops are in on the deal now. Police and warehouse sales. You can get decent deals on Crown Victorias and mink coats – among other things. Liquidation.com – This is where the Christmas returns go to be sold in lots to the second line resalers. You can literally start your own small resale business with a small investment OR how about everyone gets the same thing for Christmas this year. 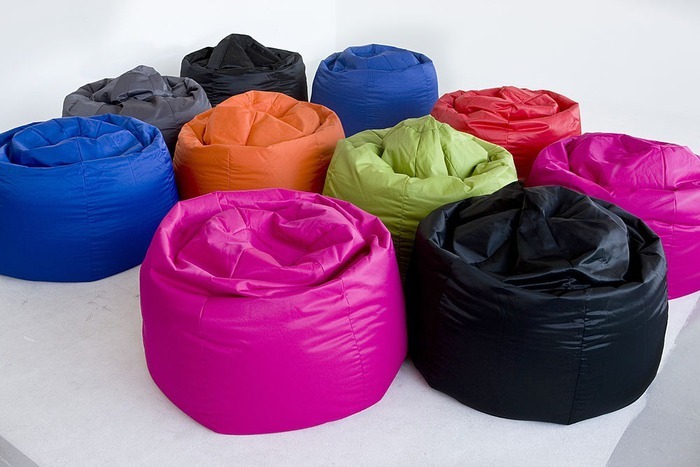 35 beanbags for $100! Anyone? Very informative and the alternative links are pretty helpful!